Celebrating 10 Years of Empowering Women through Better Health and Wellness. Healthy, active, fitness & yoga retreats designed to recharge, relax, renew. Escape to the sun and fun on the beaches of Florida and Southern California and join us for a healthy girl getaway. Whether you are looking for a fitness kick start or a mind body connection, our all-inclusive fitness and yoga retreats have all the elements to get you there. 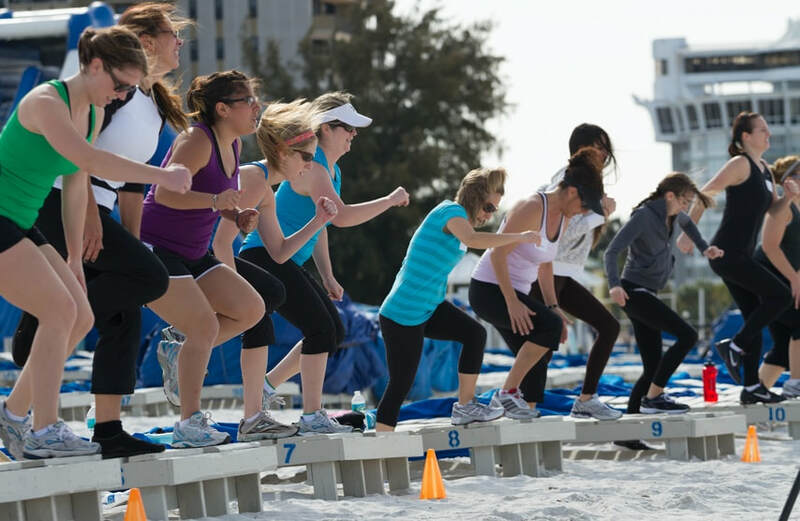 ​​An empowering fitness vacation for women. Our girlfriend getaway fitness & yoga retreats are a rejuvenating experience. It's time to pamper yourself, recharge, relax, get strong, meet new friends, enjoy new experiences all to the sound of the ocean and the feel of the sun on your face. Our healthy retreats include, delicious gourmet meals, and nutritional guidance, fitness and yoga. Each day is a wonderful blend of fitness, yoga, outdoor adventures like kayaking and paddle boarding with time left over to relax, explore and take in a spa treatment. Guests enjoy structured days full of beach boot camps, biking, yoga, Pilates, Barre and many other fitness activities while still having the leisure time to enjoy the area and the resort amenities. Each guest is guided at their own fitness level. 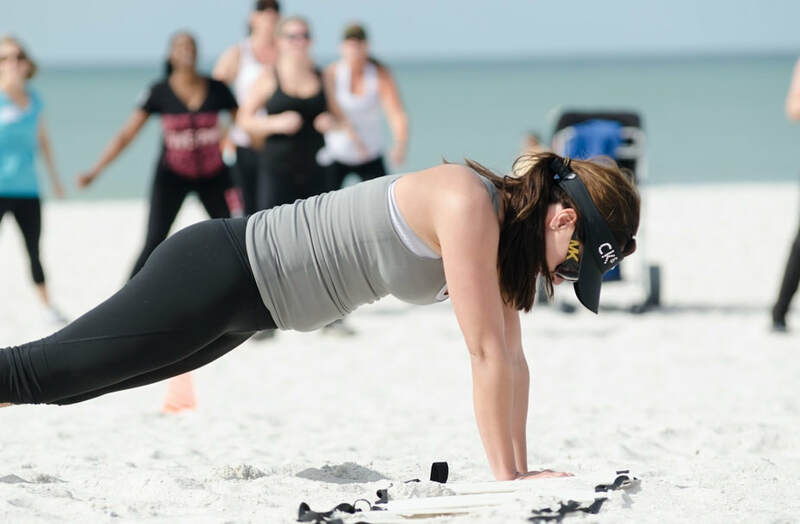 Our retreat guests come to lose weight, get fit or to jump start a more balanced and healthy lifestyle as well as to have fun and enjoy the beautiful beaches at our Florida and California retreat locations. "10 Fun Things to Try This Summer"
Whether you're planning a bachelorette trip or just looking for a way to catch up, heading out of town to sweat, relax and shape up with your ladies will reconnect you in a way that puts Facebook to shame. We offer customized private retreats for your group, group of friends, family, coworkers, employees, bridal party. ​Contact Us for more details and we'll be sure to create a fun and memorable experience for you and your group. Looking for a coed or couples retreat?